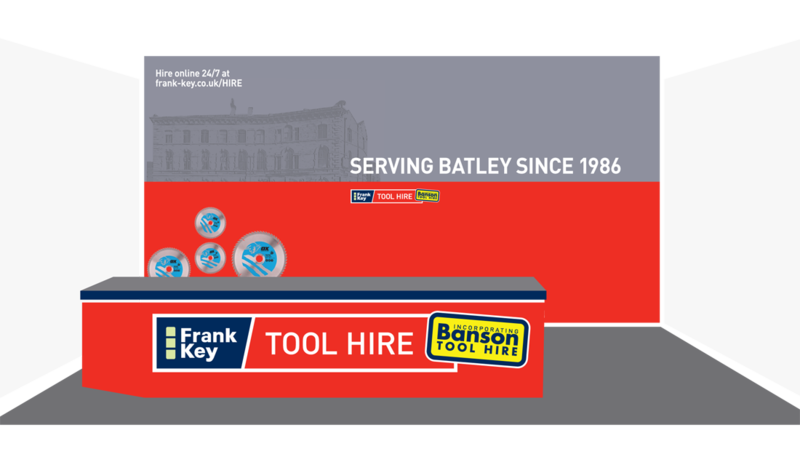 First founded in 1907, Frank Key boasts over 100 years of experience in support of the East Midlands building industry. STENCIL was given the challenge of helping assimilate a long-established TransPennine tool hire company into the fold without risking confusion or loss of day-to-day trade. Additional work included interior conceptual design for the acquired sites, full vehicle livery and extensive on-site signage and brand roll-out.